#3 Alraune by Hanns Heinz Ewers. The second of the Frank Braun trilogy, this one concerning the creation of a soulless woman whose birth parallels the creation of the mandrake. 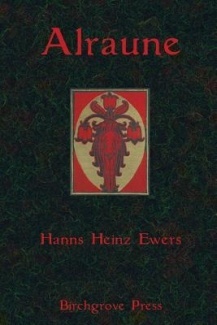 Alraune by Hanns Ewers is the best known of his horror novels.It’s been filmed several times, two versions which are still available. 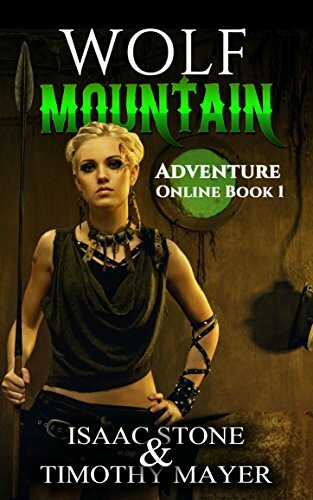 Alraune is the second of the Frank Braun novels Ewers published, but doesn’t occur chronically between the other two. The events in it seem to suggest it takes place before The Sorcerer’s Apprentice. The novel was published in Germany in 1911, but didn’t receive an English translation until 1929 by Guy Endor. The current edition I reviewed has kept the original Mahlon Blaine illustrations. I should point out there is another translation by Joe Bandel. Altraune begins with Frank Braun visiting his affluent uncle Jacob ten Brinken, who is referred throughout the novel as “The Privy Councilor”. He’s a university professor and very wealthy. At this point, Frank is still in college. The family they are visiting is known as the Gontrams who are doing quite well for themselves in the legal trade. The exact location of the story is vague, but it is in Imperial Germany and close to the Rhine. Even the patron saint of the household has his candles kept burning to protect the ten Brinken estate from floods. During the gathering at the Gontram home, a large wooden object falls from the wall. It turns out to be an alraune, or mandrake root. A rich lawyer visiting the house relates the tale of the mandrake root to all present. The root, which resembles a miniature human being, is thought to be produced by the seed of a hanged criminal. Anyone possessing the root will have vast fortunes bestowed upon them, but it comes at a price: everyone around them will suffer tragedy. As a lark, Frank Braun suggests the alraune as the topic of his uncle’s next experiment. He knows The Privy Councilor has been conducting research into artificial insemination. up till now it’s been with small mammals and reptiles. His uncle agrees and they set out to find a suitable pair for the long-term experiment. They eventually locate a condemned criminal and a prostitute of the lowest order. The actual process is vaguely mentioned, but Uncle Jacob does manage to get several of his peers involved, including a duchess who seems to be excited by the entire process. 9 months later a baby girl is born, whom Uncle Jacob names “Alraune” and adopts into his family. Uncle Jacob keeps a running journal of Alraune’s progress, which Frank Braun later finds. The girl seems normal, but has an eerie power over everyone around her. Other children in her vicinity become smitten by Alraune and follow her every command, no matter how sinister. She’s never to blame for anything, but disaster follows her everywhere. Alraune matures into a beautiful and slim young woman. We watch everyone around fall under her spell. Her stepbrother Wölfchen becomes Alraune’s faithful dog, willing to do anything for her. Men start falling in love with her and meet their demise. But Uncle Jacob prospers. Alraune consistently locates valuable artifacts for him to dig up and sell to museums. Every business decision he makes pays off and soon he’s a rich man. But Uncle Jacob too falls under the spell of his own stepdaughter which leads him to destruction as well. The only person she can’t destroy is Frank Braun. Named as executor of his Uncle’s estate, he arrives to see his now-grown suggestion as a beautiful woman. Still not of legal age, Frank is able to prevent himself from falling in love with her. And with the one man who can resist her found, Alraune too will know doom. “The Duchess acted as though she had not heard. “What have you decided to do?” she asked solemnly. The old Duchess stared at her with her round cow-like eyes, as though she could not understand what this young thing meant. She raised herself ponderously, took a few steps and then gazed around as if she were searching for something. Frank Braun rose, fetched the carafe of water from the table and poured her out a glass. She drank it greedily. But you never do find out if Alraune acts the way she does from her genetics or her upbringing. There is also the hint she may have supernatural abilities. Toward the end of the novel Frank Braun compares her to the mermaid who’s forced to become mortal to love a human. And thus I conclude the last of the 44 books on Karl Edward Wagner’s list of essentials. I don’t know if there are any others who’ve made it all the way through. KEW was a collector with refined tastes and I can picture him chuckling as he put these lists together. Timothy "Z7" Mayer has written 246 post in this blog. I've been a mystery, SF and fantasy fan every since I can remember. I'm a published author, a business owner, and a self-appointed expert on strange books, pulp literature, and spy movies. Available for lectures. Donations appreciated. -A house or apartment used as a hiding place or secure refuge by the members of an organization, such as a secret service agency. -A place used secretly by undercover agents. -An innocent-appearing house or premises established by an organization for the purpose of conducting clandestine or covert activity in relative security. All the old archives will are maintained. You can go Here for posts prior to 2012. Visit Timothy's profile on Pinterest.